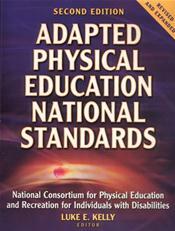 Abstract: This text is the only complete guide to the adapted physical education national standards (APENS). Every adapted physical educator must know these standards in order to pass the APENS exam and become a certified adapted physical educator (CAPE). 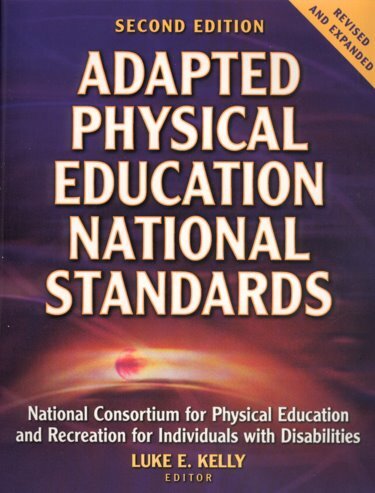 Adapted Physical Education National Standards, Second Edition, also features a new appendix of frequently asked questions as well as a complete glossary of terms, abbreviations, and acronyms of the sometimes-confusing terminology used in the adapted physical education field. The result is a deeper comprehension of the content, which enhances retention and aids in future implementation. All people with disabilities deserve to participate fully and safely in the most inclusive setting possible, led by a qualified and knowledgeable physical educator. Adapted Physical Education National Standards, Second Edition, is the text that will help teachers become not only certified but also well qualified and effective in their roles as adapted physical educators.